Good Value! Husband loves it for our screened in porch! Features a Polished and Black Matte Finish with a Circular Design. This is an engravable item that can be customized to fit any need. love it!!! vintage feel. size is just right. Easy to clean and has a ledge to hold your cigarette or cigar. black and silver color give a nice sleek look. Well, I wanted to, and almost expected to, give this item a 5-star rating; however, when I received it, it seemed less more attractive in person than it did in picture. Does it do the job? Absolutely--to hold my cigar. But, it falls short in other areas. It's lightweight--almost cheaply made. But, aside from that, it works. If you're looking for a cool, good-looking ashtray, with not so good quality, than give this a try; if not, keep looking. Simple design but great! Use it when smoking cigars in the deck. 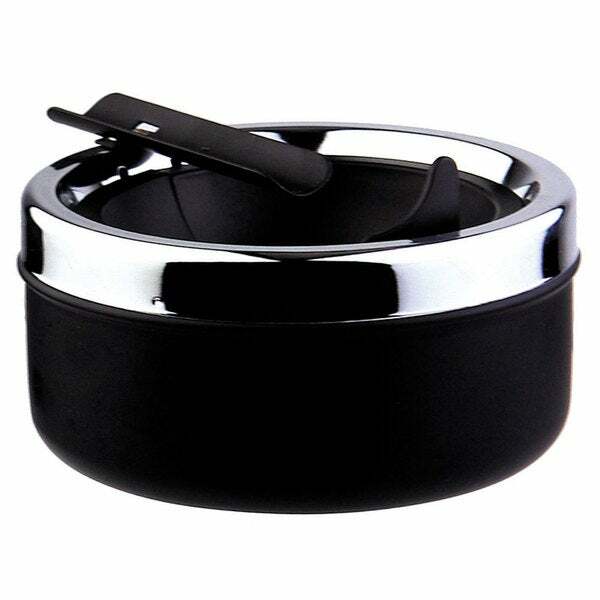 Simple but elegant ashtray for everyday use that is easy to clean. Large area for ashes to be dropped out of sight. Good all around ashtray very reasonable priced for a Visol. They know smoking! Shipping was quick and safe as always through Overstock. 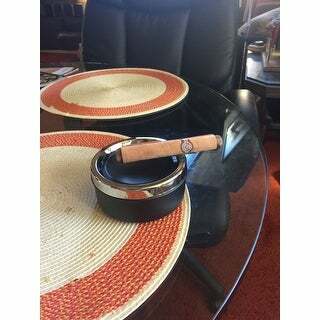 Awesome portable cigar ashtray for the avid cigar smoker. When you absolutely have to smoke on the go, accept no substitute. I bought it for the smokers in my life &amp; they thought it was quite snazzy. Works great. Has a good weight to it &amp; easy to clean. Flimsy & cheap I thought it would be better quality for the brand. I like the style and size. It's perfect for cigar smokers.